The already dazzling cast of Westworld has just gotten even brighter. 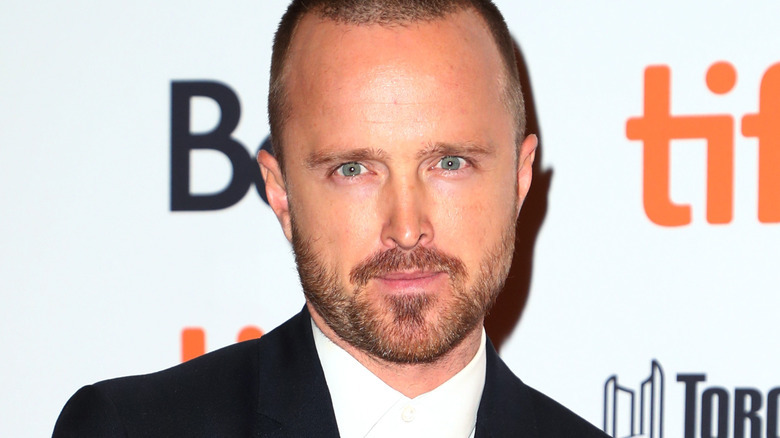 As Deadline announced on Thursday, September 13, HBO has tapped Breaking Bad breakout Aaron Paul to join season 3 of Westworld. Series producers — including creators Jonathan Nolan and Lisa Joy, as well as J.J. Abrams and Jerry Weintraub — aren't dishing up details on Paul's character right now, but Deadline's Nellie Andreeva reports that "Paul will be a series regular." Paul, who starred as the meth-cooking, Gatorade-loving, flawed-but-trying-to-be-better Jesse Pinkman on all 62 episodes of the Vince Gilligan-created crime drama Breaking Bad, will join a host of actors as talented and decorated as he is. Westworld stars Evan Rachel Wood (who plays Dolores Abernathy), Thandie Newton (Maeve Millay), James Marsden (Teddy Flood), Ed Harris (The Man in Black), Jeffrey Wright (Bernard Lowe and Arnold Weber), Tessa Thompson (Charlotte Hale), Jimmi Simpson (William), Anthony Hopkins (Robert Ford), Simon Quarterman (Lee Sizemore), and many more. Where the first season of Westworld, dubbed "The Maze," largely focused on Dolores attempting to solve the puzzle that Westworld park co-creator Arnold Weber crafted, the second season, subtitled "The Door," involved Dolores' journey to find the entryway into a digital realm separate from the real, physical world. But Westworld being the twisty, turn-y series that it is, the sophomore season splintered off into various other directions and jumped down many a narrative rabbit hole — much to viewers' confusion. Watchers struggled to make sense of the mashed-up timeline, some called the entire season a mess, and many faulted the installment for its "haphazard storytelling" that left more loose ends dangling than it did tie them up. We don't know much about Westworld season 3, but hopefully the show can rebound from its tangled second turn and remind us all why we fell in love with the mind-melting sci-fi western series in the first place. With a powerhouse talent like Paul now on board, there stands a solid chance Westworld can do just that.